The announcement that Steam will support the forthcoming Windows VR headsets was big news which means that owners will eventually have a strong library of VR content to draw from while Microsoft builds up its own library of VR games and apps on the Windows store. 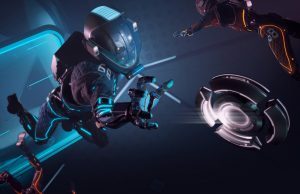 Some of VR’s best games however are exclusive to Oculus’ content library, though savvy Vive owners know that the unofficial ‘Revive’ workaround opens the door to playing Oculus games on the Vive, and the same could be true for the Windows VR headsets. Update (11/13/17): German VR blog VR Nerds has posted a video showing Revive working with a Windows VR headset. Using the latest version of the mod, the video shows how the Oculus app library can be access via Revive using the (soon to be publicly released) SteamVR integration for Windows VR headsets. The Oculus touch demo First Contact is shown as a demonstration. Commenting on the video via Reddit, Revive creator Jules “CrossVR” Blok says that some games don’t work currently because they expect to see a certain number of external sensors (which don’t appear because the Windows VR headsets use on-board sensors instead). Blok says that the next version of Revive will fix the issue. Revive is free and supported by the VR community via Patreon. 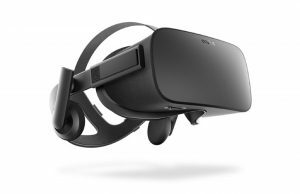 Original Article (8/29/17): When it comes to desktop VR headsets, the Oculus platform only officially supports the Rift. 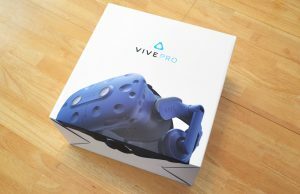 However, Vive users can quite easily play Oculus exclusive games and content thanks to Revive, a free unofficial workaround which opens the Oculus content library to the Vive. Revive will quite possibly also support Windows VR headsets, says its creator, Jules Blok. The difficulty of adding Revive support to Windows VR headsets, and allowing them to access Oculus exclusive games, could come down to how those headsets interface with SteamVR, says Blok. One logical assumption is that Microsoft and/or Valve will build an official OpenVR driver for the headsets. OpenVR is Valve’s API for allowing any headset vendor to make their VR hardware work with SteamVR content. 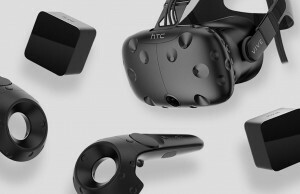 Because it’s a common API from one headset to the next, and the same way that the HTC Vive interfaces with SteamVR, an official OpenVR driver for Windows VR headsets would be a major boon for adapting Revive to support the headsets. “Revive can support any headset that has an OpenVR driver. How well the headset is supported depends on the quality of the driver. 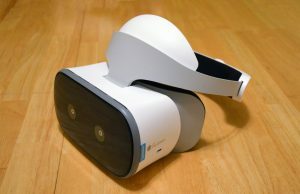 So yes, an official OpenVR driver would make [supporting Windows VR headsets] a lot easier,” Blok tells Road to VR. Microsoft’s announcement that “Steam content will also run on Windows [VR] headsets,” doesn’t precisely indicate how the headsets will interface with SteamVR, and Microsoft has declined to go into detail at this time. 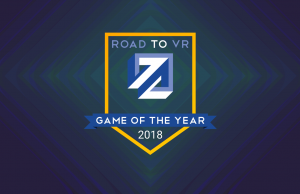 it’s hard to imagine Valve wouldn’t insist upon the OpenVR route, given their commitment to making SteamVR a hardware agnostic platform (which is underpinned by OpenVR). 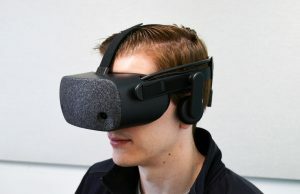 However, Microsoft is one of the world’s largest and most important companies—it’s possible that Valve would make some concessions to ensure Windows VR headsets could access VR content on their platform. If the implementation turns out to be something other than an OpenVR driver, it will make adding Revive support more challenging, Blok tells us. 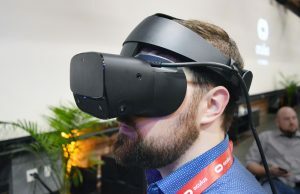 Blok says that he “definitely doesn’t look forward” to writing the necessary code if it turns out that he has to adapt Revive to the Universal Windows Platform (rather than relying on an OpenVR driver) in order to access the Mixed Reality API that the Windows VR headsets make use of. Blok has been developing Revive in his free time since 2016. 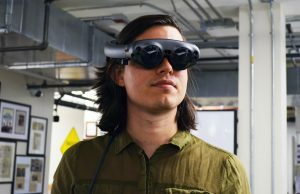 His project recently got a major boost thanks to Oculus founder Palmer Luckey (who is no longer with the company) pledging $2,000 in monthly support through the project’s Patreon page. Maybe it’s time for Oculus to officially support third party headsets… And if they do, they’ll get all my money. Not their business model. So I doubt it will ever happen. Their business model doesn’t really matter if it’s a failing one. It’s a failing one, they have to change. This doesn’t necessarily means they have to support third party headset if they have an even better strategy, but they have none. They don’t care. This is the company that paid 19 billion for WhatsApp. As long as the oculus contributes to their core business it doesn’t matter if oculus loses money forever. That’s the sad part, and it’s because it’s worse: Facebook, like many US corporations do NOT do business, but speculative finance. They don’t care about actually working, producing value and selling it as long as thieves scums gambling on non-existing value over their company. So yes you’re right. Their business model is not failing. They want quality control over the vr experience of their customers. Supporting 3rd party headsets would open a can of worms of error possibilities and low quality customer experiences. Same principle why apple is not releasing macOS for 3rd party PCs or iOS for cheap Chinese phones. 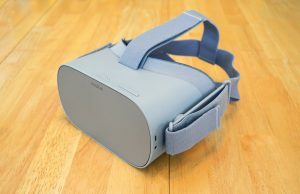 There are quite a few Rift owners that won’t spend money on Oculus Home due to it being a closed shop. That would change if Oculus officially announced an opening to all systems. Maybe once Core 2 / Dash is established. The Blok guy is amazing, he’s studying at a University and does all this on his spare time. He has to use his own money to buy Oculus games to make them work with revive. Unfortunately he’s only on Patreon which you have to pay monthly rather than give a one time donation. Blok, if you see this set something up where people can give one time donations.. same goes to the guy who’s working on Alien Isolation VR mod. Ehh, I’m not gonna support someone who’s helping Oculus’ “business model” stay afloat. What he HAS done, however, is prove how easy it’d be for Oculus to support other headsets, and they simply refuse to. Why would I use a hack to give them money for being assholes? FB doesn’t make money from their store. They don’t make money at all actually Their only interest is people using their hardware. 1. When MS VR devices launch, they will have zero content available. 2. 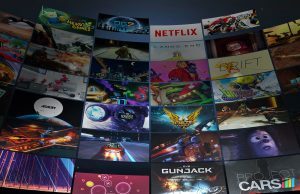 UWP would, somehow, get in the way of porting content from OCULUS/VIVE to MS VR. 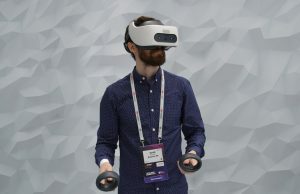 If you’ve been paying close attention, as I’ve been, to information regarding these devices and what people say and seem to believe (or just rant about), the above mentioned shattered believes are among, like, over a dozen that have been debunked since MS announced their own take on VR. I even saved the most important one for last: THESE DEVICES WONT BE SUITED FOR GAMING. Being granted access to a ‘gaming’ platform kinda disproves that one too but I’ll sit and wait until actual use and tests get done. I think it’s about time you guys take these devices seriously. Let’s face it, they still won’t take it seriously. 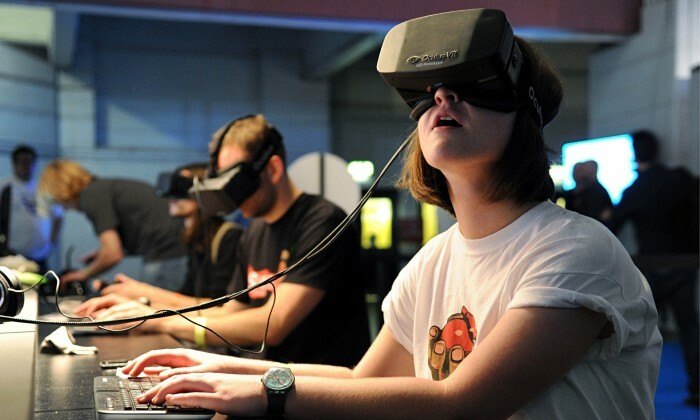 Within reason, these devices will still be the kings of things like Project Sansar and so on. 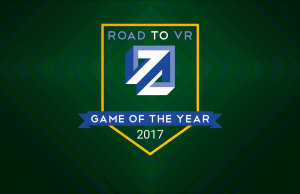 And of course things like that will be what gives VR the jump it needs. If external sensors are developed for this or the controllers are ideal with out-of-view tracking, Microsoft might take point on VR gaming. All the extra sensors it probably needs is a 30$(ish) extra camera facing the user (on top of your computer monitor for example) and you’re set. Maybe go as far as geting a wide(r) FOV computer camera…? The beauty of the system is that it seems to be taking advantage of existing technology, instead of trying to develop new, spaceage stuff that users will end up paying for. The best part actually of the system is that it’s Microsoft and their platform. They’re making actual accessories to Windows. MR is not a device, it’s a platform. Meaning that anyone can develop accessories and release it. 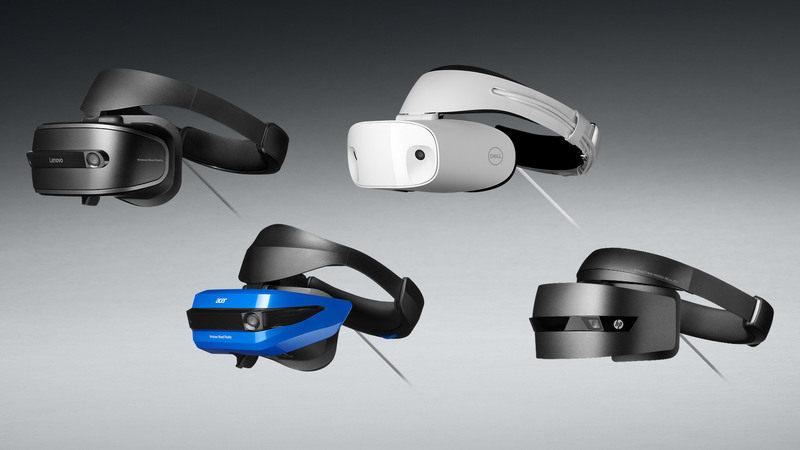 So get ready to see Microsoft legitimately take point on VR, they’re going to win. Willing to bet that your hands will be in view of the headset cameras 99% of the time. With all the whining about the ‘out of view’ limitation, one would think that everyone and his mother does VR with their arms 270 degrees apart. Let’s be honest here, MR is just Microsoft’s late version of PSVR. Launched early to get the gullible PC buyers while they develop some XBox games. Not many PC owners would consider MR if they launched on console first. 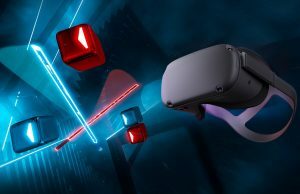 Compared to Rift/Vive, the controllers work 90-95% of the time. 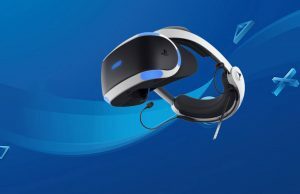 A little better than PSVR, but still a step backwards for PC. Why buy 4 years old tech at premium prices with no games and then playing games made for the far superior and cheaper Oculus? Just buy Oculus straight idiots. Better upscaling and poor hand tracking. No need for upscaling with higher resolution and the improvements in hand tracking are not worth losing inside out tracking. Oculus is not better. haha why would you even think that? It works already on the beta. Yes it is using openvr driver. Already playing games for oculus on the Windows Mixed Reality Headsets. Looks like I’m getting a MR headset for Christmas then!